How To Dip Without Breaking The Chip Some hold the straight edge of the tortilla chip and dip the point; others do the opposite. But if you're willing to step out of the box, The Sporkful's Dan Pashman has a technique that could help boost the reputation of one controversial chip. The Mexican army's May 5 victory in 1862's Battle of Puebla is a pretty small holiday in Mexico. But in the U.S., Cinco de Mayo has grown into a kind of Mexican St. Patrick's Day. So this weekend, in honor of that holiday, thousands of Americans will be dipping tortilla chips into guacamole, and when they do they'll have an important decision to make: how best to dip without breaking the chip. "When you're working with standard triangular chips, you can either hold one point and dip two points, or you can hold a straight edge and dip one point," The Sporkful's Dan Pashman tells NPR's Rachel Martin. Try Pashman's dipping technique on this simple, but unexpected Thai-inspired guacamole recipe. 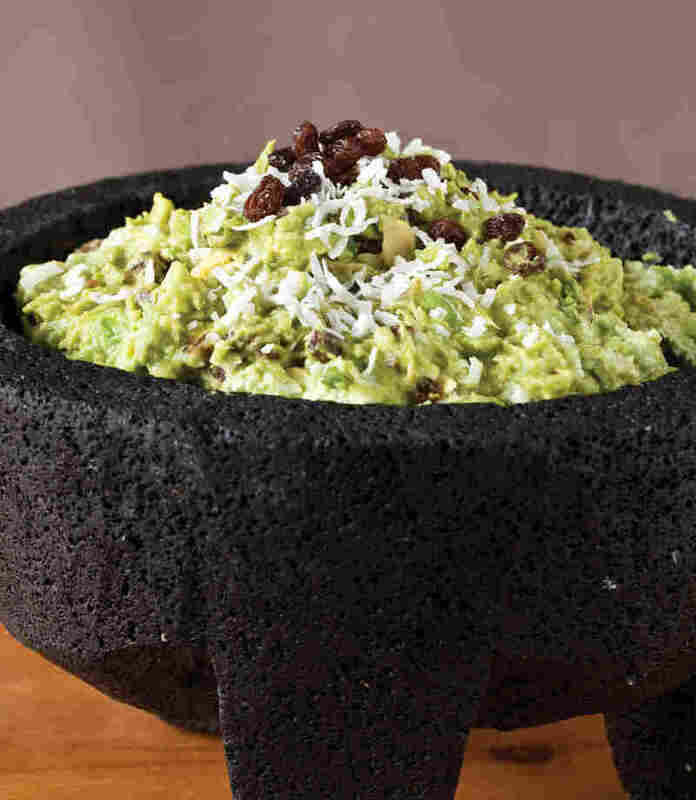 It's part of a new book co-authored by Nachos NY's Lee Frank, who tells Pashman that when it comes to guacamole, "you have to experiment to see how far away you can get before it gets scary." 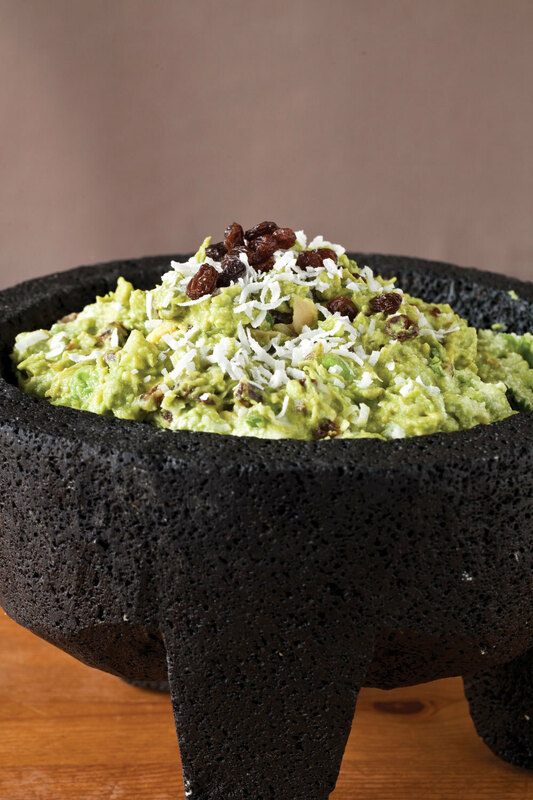 Pashman says that while it may be tempting to dip two points – more surface area means more guac, right? – just don't. According to Isaac Gaetz, a structural engineer Pashman consulted, that approach puts too much strain on the chip. And instead of flat triangles, Gaetz advises looking through the bowl for bent, undulating chips. "It's kind of like a dome shape," Gaetz says. "A natural, very strong shape in compression is an arch, and a 3-D arch is a dome." "I present to you now my new 'It's Not A Scoop, It's A Dome' technique for chip and guacamole consumption: Take the scoop chip, put it on the tip of your pointer finger upside down like a thimble; brace it with your thumb; run it through all the guac you desire and it will not break. Just make sure the guac is in a bowl with extra space and high walls, which you'll need for leverage." Contributed by Sofia Frank and Anthony DiSanti. Sofia Frank and Anthony DiSanti took home the People's Champion award at 2011's Guactacular with this Thai-inspired guacamole. Who would have thought raisins could be such a guac-picker-upper? In a medium bowl, combine the diced onion, jalapeno, tomatillo, cilantro and garlic. Add the avocado and lime juice to the diced ingredients. Using a fork, mix the ingredients together while also mashing the avocado. Add the coconut, raisins and curry powder and mix to combine. From Ultimate Nachos by Lee Frank and Rachel Anderson. Copyright 2013 by the authors and reprinted by permission of St. Martin's Griffin.